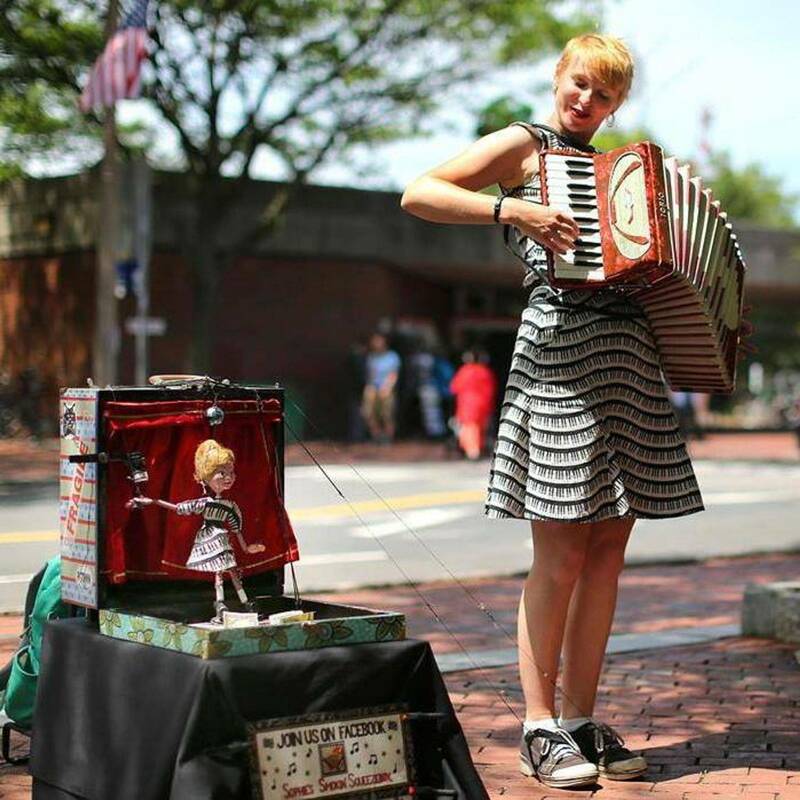 Sophie Crafts is a Massachusetts-based accordionist, known for performing on the streets along with a foot-activated, look-alike, tap-dancing marionette. Originally from small-town Western Massachusetts, Sophie began piano lessons at age five. 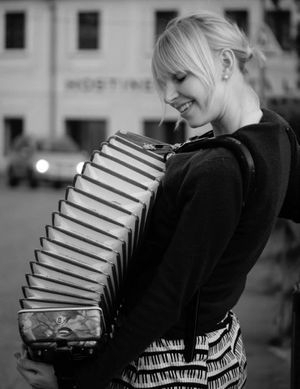 She has continued to be an active musician in various capacities since then, culminating in the beginning of her accordion career after graduating college in 2010. 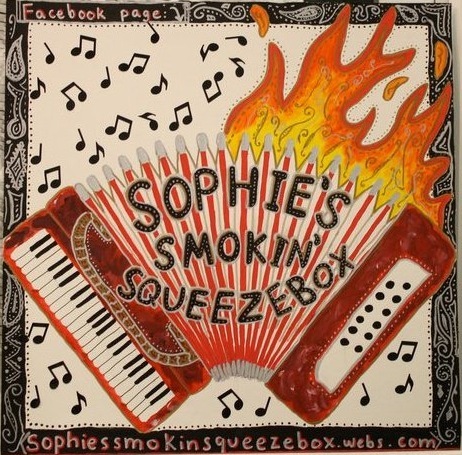 Under the moniker “Sophie’s Smokin’ Squeezebox,” Sophie keeps busy “playing back student loans” in a homemade piano-patterned dress on her favorite street corners in the US, Canada, and Europe. An avid traveler, she enjoys using her craft as means to explore new corners of the globe and seek inspiration. Her eclectic repertoire includes everything from Italian arias to The Rolling Stones to TV theme songs to Miley Cyrus. Look for her in greater Boston.